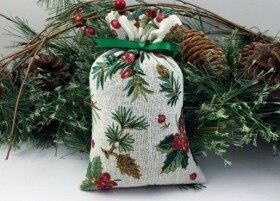 Sachets are 3 by 5 inch, stuffed full of fresh Maine balsam needles. 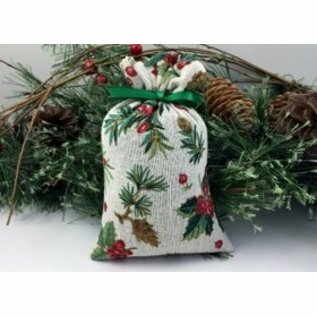 The scent last for years, perfect for your car, a closet, or tucked into any room. Crafted by Moosehead Balsam in Greeneville, ME. "Established in 1994, our family run business is committed to providing excellent product and service. We have a strong focus on Eco-friendly products as we recycle local Christmas trees to produce the balsam fir. After the Christmas trees are de-limbed to make the balsam fir products, the remaining portion of the trees are used by the Moosehead Snowmobile Club as poles to guide snowmobiles along the trail system."